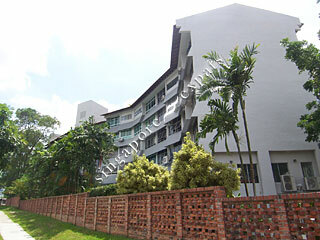 WILLYN VILLE is located at 1 HOLLAND AVENUE in district 10 (Bukit Timah, Grange, Holland) of Singapore. WILLYN VILLE is a Freehold Condo development consisting of 63 units. Educational institutions like THE EXPERIENTIAL LEARNING CENTRE, TANGLIN TRUST SCHOOL, HWA CHONG INTERNATIONAL SCHOOL, NEW TOWN PRIMARY SCHOOL, HENRY PARK PRIMARY SCHOOL and NANYANG PRIMARY SCHOOL are near to WILLYN VILLE. WILLYN VILLE is accessible via nearby HOLLAND VILLAGE, BUONA VISTA and COMMONWEALTH MRT Stations. MRT at doorstep, enjoy the Holland Village vibe and charm and the convenience of amenities closeby. Holland Village's best kept secret apartment. Situated in the heart of holland village, it's a charming walk up apartment property with the MRT at its doorstep and supermarkets and amenities nearby.